BRIGHTON, UK – SEPTEMBER 10, 2012: NCsoft®, the world’s premier publisher and developer of massively multiplayer online games (MMOs) and ArenaNet, developer of the renowned Guild Wars franchise, announces the reopening of sales of this year’s number-one hit title, Guild Wars 2. 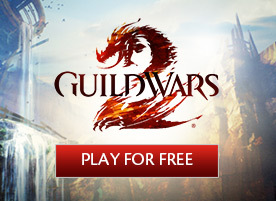 Starting today, gamers who have been searching for remaining copies of Guild Wars 2 will be able to join their friends in-game and experience what the entire industry is raving about, as the game is once again available for purchase through buy.guildwars2.com and numerous retail partners. ArenaNet suspended first-party sales and retail replenishment on August 30—just two days after the game’s retail release—to catch up with record demand and to ensure that players who bought the game would continue to have the best online experience possible. Despite the suspension of first-party sales and retail replenishment, Guild Wars 2 grabbed the number one position in the All Formats charts across 10 European markets— the first PC game in the UK to have accomplished this in nearly two years. Since suspending sales, ArenaNet and NCsoft have substantially expanded the game’s capacity by deploying new servers in both North America and Europe, and by nearly doubling the number of customer support agents. Game systems that have been under extremely heavy demand, such as the Trading Post, have been bolstered and prepared for the continued influx of players. To celebrate the reopening of sales, ArenaNet has released the Our Time Is Now video. The video was directed by James McTeigue, known for his work on the Matrix Trilogy and V for Vendetta. Our Time Is Now captures the revolutionary spirit of Guild Wars 2 and puts forth a call-to-arms for gamers everywhere. 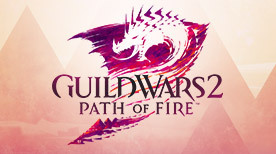 For more information on Guild Wars 2, its retail availability, and the Our Time Is Now video, visit www.guildwars2.com. NCsoft, headquartered in Seoul, Korea, is the world’s premier publisher and developer of massively multiplayer online games, including the critically acclaimed Aion®, Lineage®, Guild Wars®, Wildstar™, and City of Heroes® franchises. 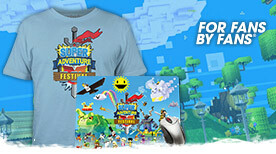 NCsoft West is a division of NCsoft that holds operating responsibilities for North America, Europe, South America, and Australia/New Zealand. More information can be found at www.ncsoft.com. Guild Wars® 2 is a visually stunning MMO that offers players the epic grandeur of a massive role playing environment combined with innovative combat mechanics, dynamic events, and customised personal storytelling. Building on the success of Guild Wars, NCsoft® and game developer ArenaNet™ have created an MMO that lets gamers play the way they want, while at the same time retaining the no-subscription-fee business model that made the original Guild Wars so popular. For more information about Guild Wars 2, visit www.GuildWars2.com.